This past December Justin Ebert, Taro Smith and I were out in the Misool region of Raja Ampat diving and filming with Andy Miners in the new marine protected area (MPA). Since the MPA is very new, there is and will be some lag in adherence by the fishermen. We are working hard to change that quickly. 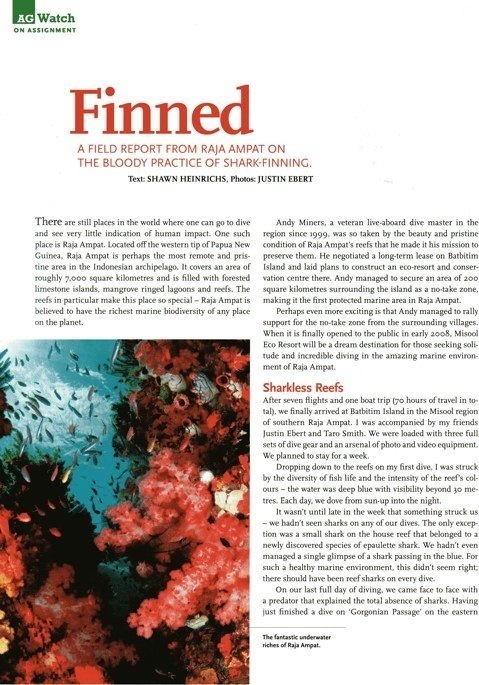 The following is a printed account in the April issue of Asian Geographic of our encounter with a shark finning crew during our visit. This is a more detailed account of the story told in last months issue of Scuba Diving Magazine. Please share this with others so they might be motivated to take action as well. 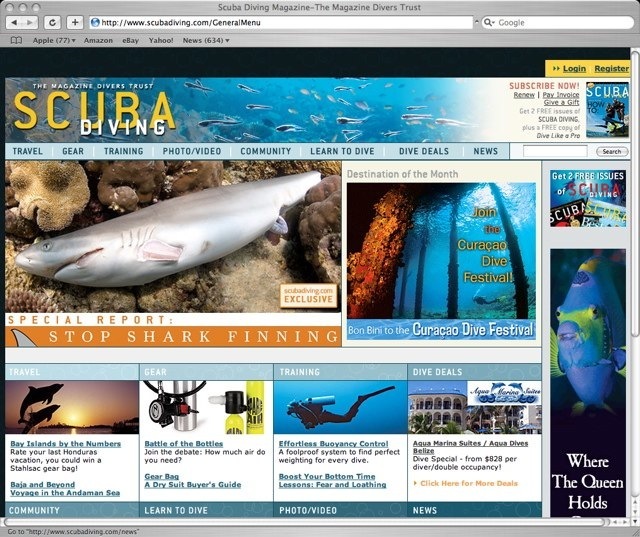 The following is a printed account in the April issue of Scuba Diving Magazine of our encounter with a shark finning crew during our visit. It is graphic and moving and very real. Please share this with others so they might be motivated to take action as well.